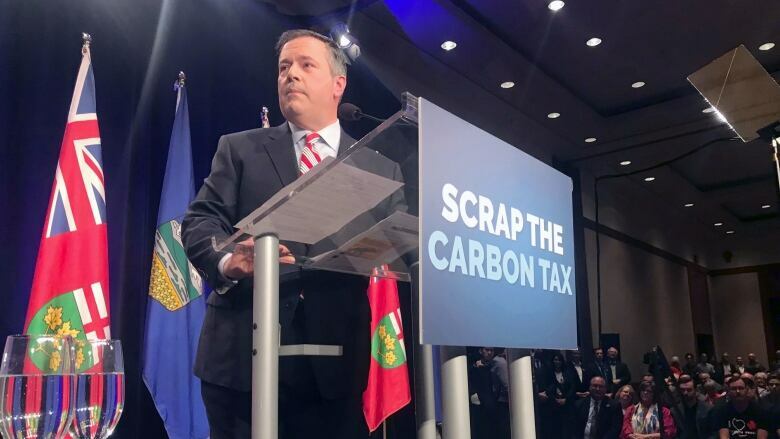 United Conservative Party Leader Jason Kenney says he wants to assemble a database to screen out extremists who may try to seek membership in the party. Kenney said he has asked the party's board of directors to come up with ways to better screen future members for extreme, racist and white supremacist views. "What we can maybe do is look into the dark corners of the internet to some of these hate sites, come up with names of people who are associated with some of these extremist organizations," Kenney told reporters at the Alberta legislature Tuesday. "At least we have a database of those people so if they apply for a membership, a flag comes up. It's just about trying to exercise due diligence but we're not going to bat a thousand on this." Kenney has been under pressure to respond after left-leaning website Press Progress revealed last week that Adam Strashok, a call centre leader for Kenney's UCP leadership campaign, was associated with a website that sold white supremacist gear. Kenney revoked Stashok's UCP membership and said he asked the UCP board for ways to screen future members. Kenney did not make himself available for questions on the Strashok issue until Tuesday. Kenney said he was unaware of Strashok's views until he read the media reports. He said didn't have a direct employer-employee relationship with his former campaign worker. As for the database, Kenney said the Reform Party used similar measures in the early 1990s. However, he said the number of current UCP members make it impossible to check their social media accounts. "I guarantee you that there will be other people in a party with over 100,000 members who have aberrant or extreme views and we'll deal with them on a case by case basis," he said. "We cannot possibly go through 130,000 people's social media accounts." The party was criticized after three candidates for the Edmonton-West Henday nomination posed for photos with members of the Soldiers of Odin, an anti-immigration group, last month.